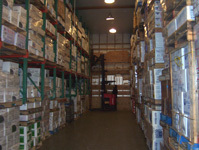 Our state-of-the-art cold storage warehouse is capable of handling your frozen and refrigerated needs. Growers' Refrigeration is big enough to handle large volumes of product, yet small enough to offer high levels of personal attention to detail. Whether by land, sea, or air, our temperature-controlled truck services can assist you in carefully getting your product to its destination. 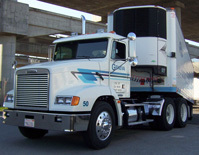 Geneva Refrigerated Truck Service has the equipment and expertise to support your logistic needs. In the late 1920's, while Sebastian Baumsteiger was working in the Produce Market in what is now the Financial District of San Francisco, he saw a need for the "growers" who had brought their goods to market, to have a common facility in which to store their perishable commodities. Securing a three story concrete block building on the corner of Front and Oregon Streets, he filled in the windows, insulated the perimeter walls, and installed refrigeration. In 1929 he incorporated Growers' Refrigeration. 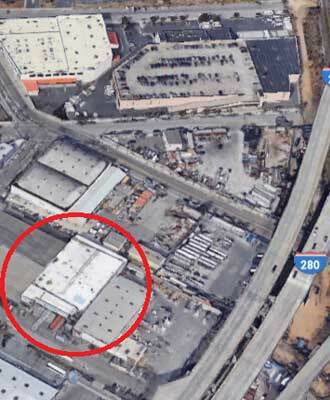 As the Financial District began to overtake the downtown area of San Francisco, the produce market and Growers’ Refigeration moved to a new location south of Market Street. 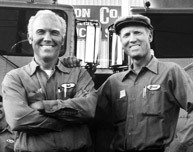 In the late 50's, Sebastian's sons Rich and Fred joined the business and acquired a trucking company called Geneva Refrigerated Truck Service. With hard work and determination, they expanded the customer base to include marketers of meat, seafood, poultry, chocolate, and other refrigerated commodities. Today, Rich's son, Kevin, and Fred's sons, Tim, Jeff and Ted make up the third generation of family owners and operators. Using modern computer technologies and the latest in refrigeration and transportation equipment, they continue to offer the same level of trusted services their grandfather provided back in 1929. With our cold storage facility located in San Francisco and our transfer dock located at the Port of Oakland, we are able to strategically service your distribution needs to key areas of the Bay Area.